The Great Depression of the 1930s, when economies crashed world-wide, had a devastating effect on people. 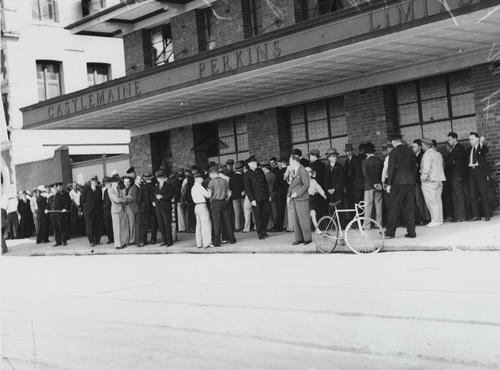 Although less affected than more industrialised economies, and fortunate in having an established scheme for unemployed workers, circumstances were dire in Queensland. 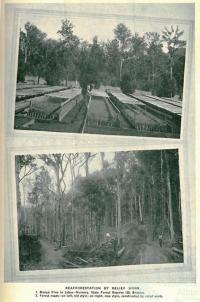 But it was the landscape of Queensland that provided the means for people to survive. 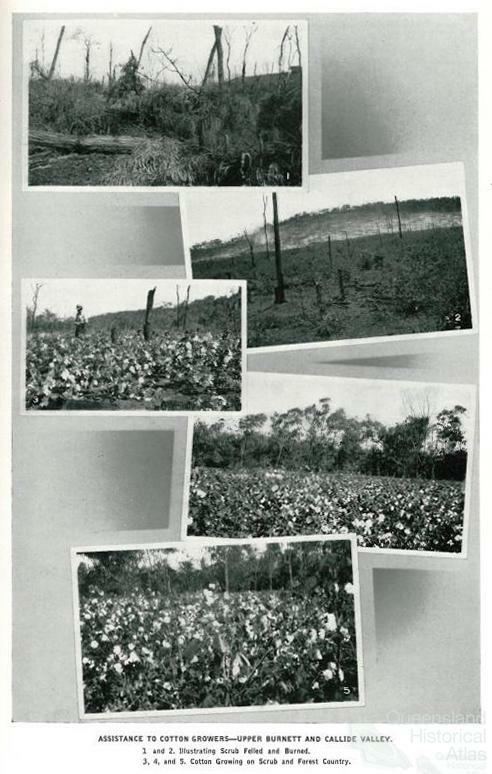 Relief work was formulated as a response to economics, but it was also a response to the Queensland environment. Queensland was already experiencing a slowed economy, partly caused by the refusal of London financiers to lend to the state's radical Labor governments of the 1920s and by crippling droughts late in the decade. 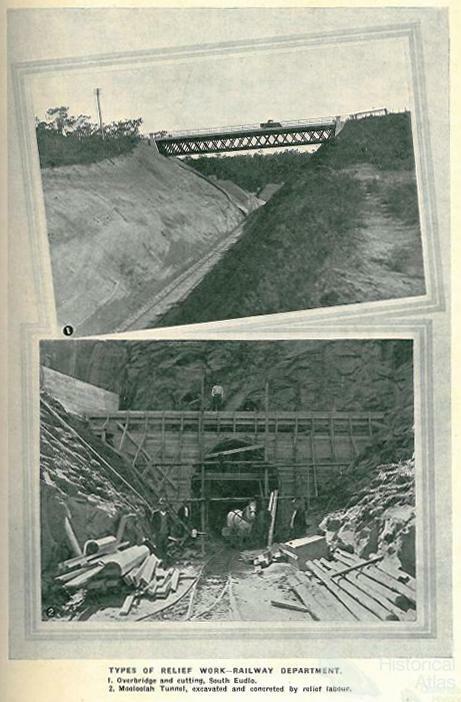 The state’s landscape of undeveloped land and natural resources represented both opportunities and constraints for dealing with increasing unemployment. The Queensland Government established relief works to assist the unemployed maintain their 'manly independence' undertaking development work throughout the state. 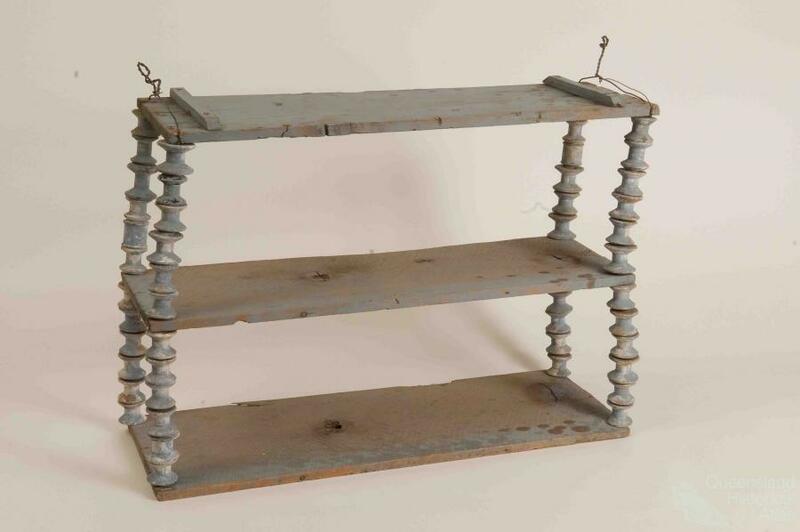 While Depression conditions established a population of itinerant 'swaggies', women were expected to maintain their dependence on husbands or families. 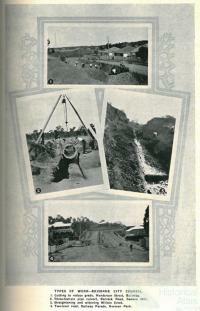 Queensland's economy was somewhat shielded from the crisis that began in 1929 by its underdeveloped manufacturing sector and reliance on primary products. As export sales of wheat, wool and minerals plummeted, however, rural producers and associated businesses laid off workers or closed. At just over half the national figure, Queensland's unemployment rate was 11.6% by June 1930. 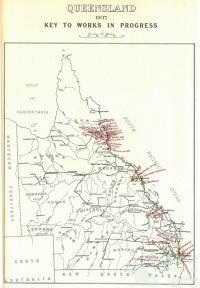 By 1931 over 30% of the Queensland workforce was unemployed. 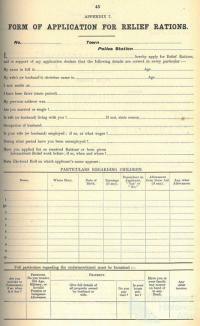 Since the passing of the Unemployed Workers Insurance Act in 1922 Queensland was the only Australian State with a scheme to support unemployed workers. The scheme funded by contributions from workers, employers and the State, was not, however, designed for the prolonged, widespread unemployment experienced during the Depression. By 1930 the number of applicants for unemployment sustenance had risen from 37,539 in 1926 to 55,903. The amount of sustenance paid had almost doubled from £206,860 to £450,465 in the same period. Individual unemployment was of longer duration and the average amount for sustenance, limited to 15 weeks per year, rose from £5 5s to just over £8. 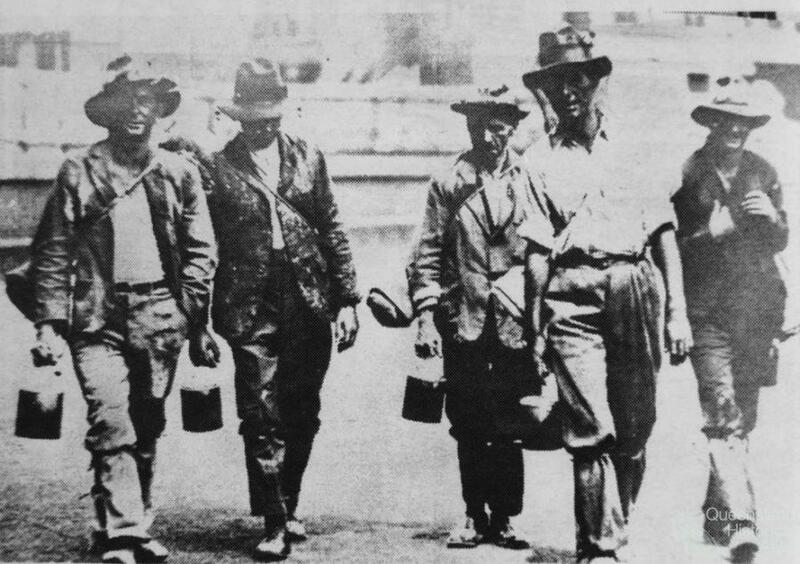 In July 1930 Queensland's new Country Progressive National Party government passed the Income (Unemployment Relief) Tax Act to fund relief works as overseas credit was unavailable and financiers insisted that repayment commitments be honoured. The Moore government accepted the premise of the national Premiers Plan to balance budgets and adopt deflationary measures. By 1932 unemployment had risen to 32,344. At first the intention was to provide full time work at the relief rate of £3 per week for married men or £2 10s for single men. By December 1930 the fund was obviously insufficient to provide all unemployed men with work at that rate. 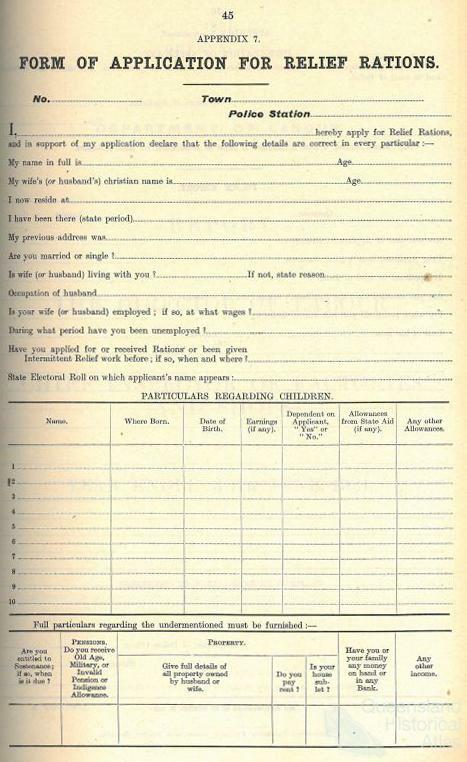 Intermittent relief work was introduced in March 1931 allocating work and pay according to men’s family circumstances. Entitlements ranged from 1 day's work for 11 shillings for single men to 4 days and 43-44 shillings for a couple with 7 or 8 children. Relief work was principally provided by local councils in cities and towns where 84% of relief workers were located. 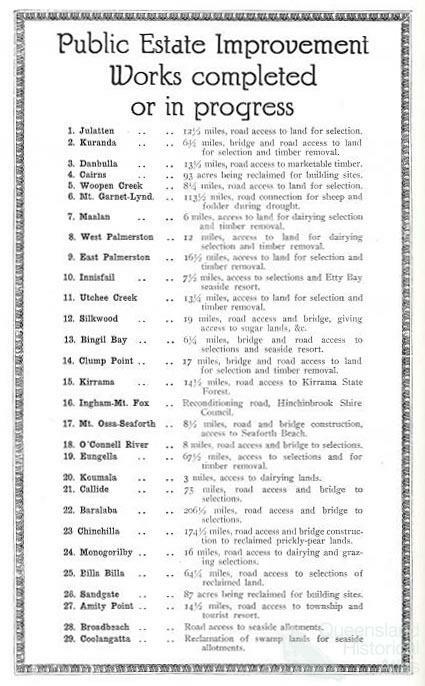 By far the largest expenditure from the Relief Fund for any one Constructing Authority was by Brisbane City Council. Fifty-five per cent of the state's relief workers were located in Brisbane although it had only 33% of the state's population. 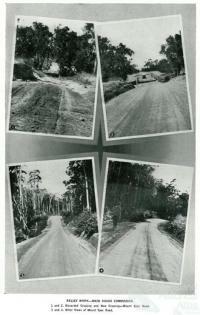 By June 1932 the Council employed over 6000 men constructing and reconditioning 488 miles of streets. 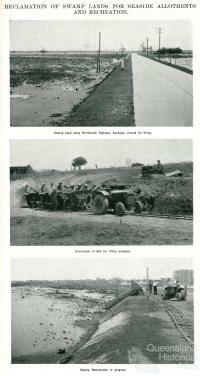 Council relief workers reclaimed acres of foreshore and constructed seawalls at Wynnum, Manly and Sandgate. Breakfast Creek was widened and concrete channelling and open cut drains constructed. Sports grounds and playing fields were made in parks all over the city. 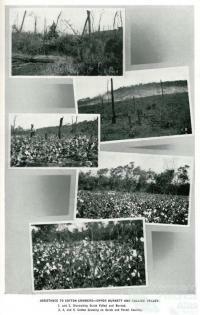 In Kianawah Park (Tingalpa) 45 acres were cleared and 12 playing fields installed. 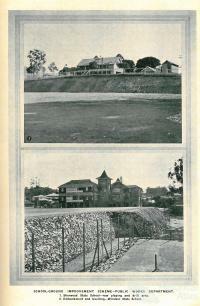 Trees were planted and drives made in Anzac Park, Toowong. 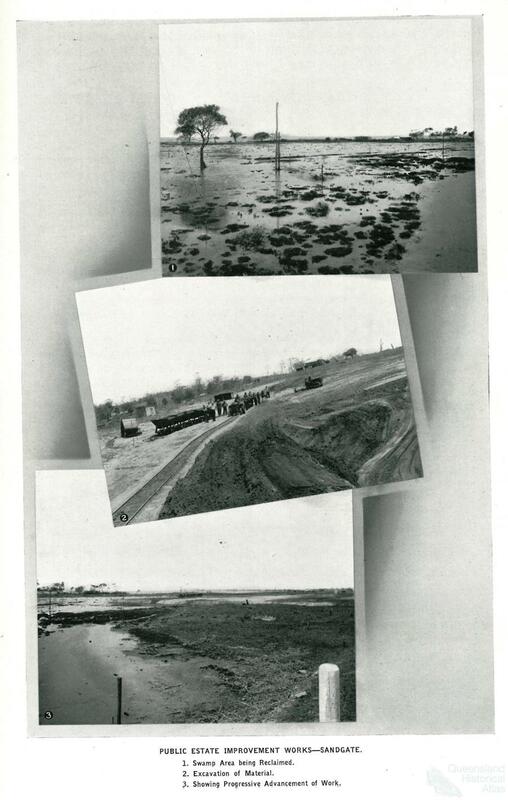 Other parks were cleared, levelled, fenced and drained. State government departments also provided relief work. The Public Works Department supervised the improvement of school grounds and the Main Roads Department cleared, formed and laid miles of sand, clay, loam and gravel as well as metalling and bitumen. 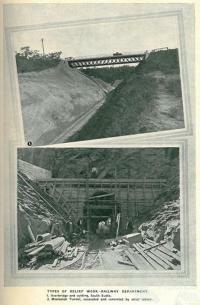 Roads and bridges were constructed and repaired all over the state. 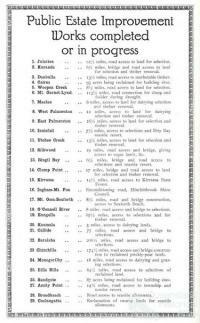 The Railways Department constructed new branch lines, and relaid, regraded or reconditioned hundreds of miles of track using relief workers. By 1932 the Forestry Service employed up to 250 men conducting reforestation from the Brisbane and Mary Valleys to the North Coast and Mackay; from Fraser Island to Inglewood and Dalby. They planted 926,000 trees, constructed and maintained over 150 miles of firebreaks and cleared scrub to plant and harvest 500 acres of maize in the Brisbane Valley. 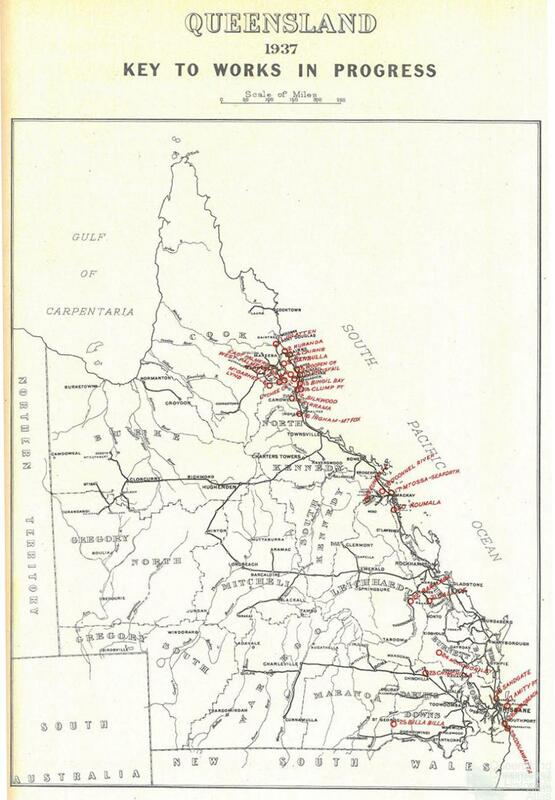 Relief work was provided for prospecting in places from Brisbane and Gympie to Charters Towers, Mount Morgan and Cloncurry. 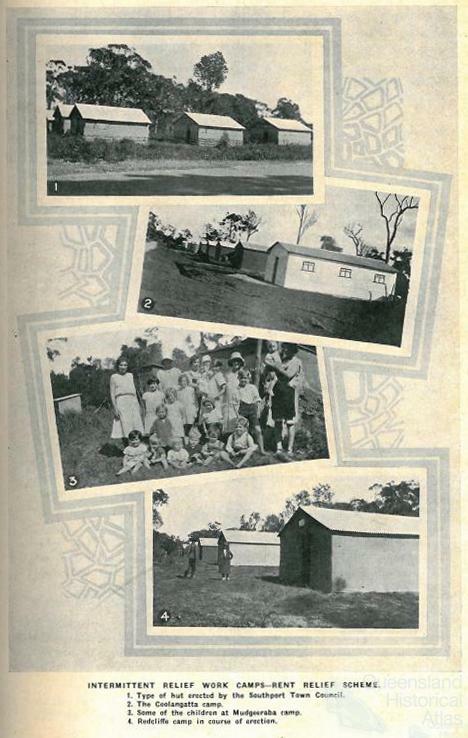 The Public Estates Improvement Branch employed relief workers to open up 500 new farms in the Upper Burnett and Callide Land Settlement areas. 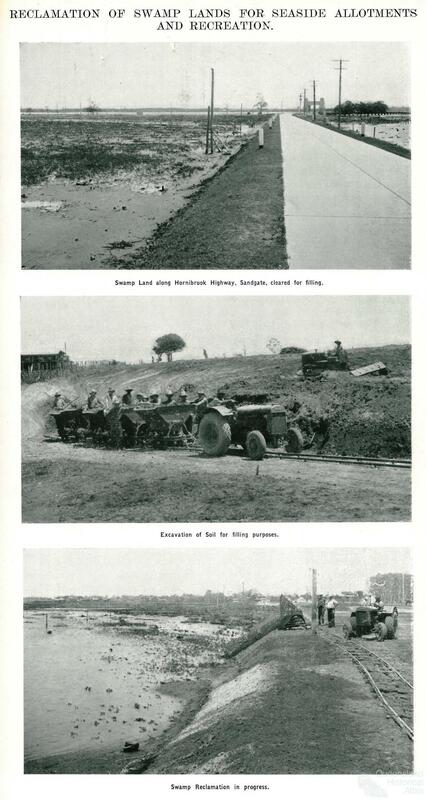 The Commonwealth Defence Department provided work on aircraft landing grounds, while Commonwealth Unemployment Relief and State Revival Loans funded rural (cotton, tobacco, small farms and pioneer roads) and mining development works. 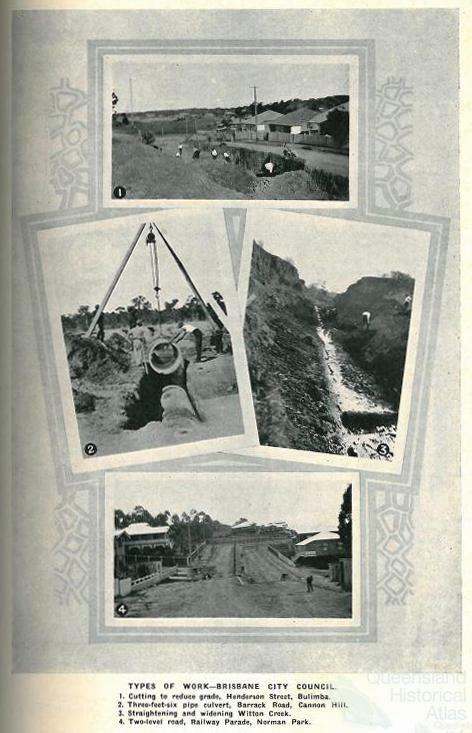 The Forgan Smith Labor government, elected in June 1932 refused to follow the Premiers Plan and three major construction projects; the Story Bridge, Stanley River Dam and The University of Queensland campus at St Lucia, provided relief work for hundreds of men. 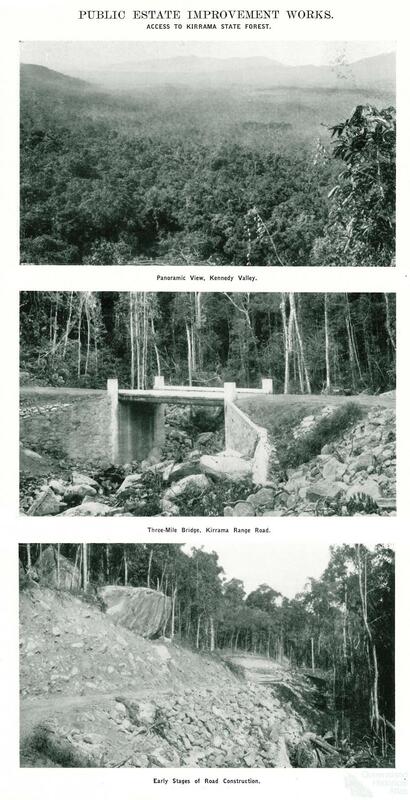 The Depression decade also saw the construction of numerous tourist roads in scenic areas like Mount Nebo, Mount Tamborine and Mount Spec, for example, transforming and opening up those landscapes. Outdoor Relief (rations, coupons or cash) was provided for men with doctors' certificates attesting to their inability to work and to women in necessitous circumstances. Early regulations stipulated that rations could only be obtained once in any town and the unemployed were forced to travel seeking work or handouts at towns along the way. Distances between towns and the meagreness of the rations (which scarcely lasted a few days) instigated the hazardous practice of 'jumping the rattler' (illegally riding on goods trains). Women and children were left to rely on charity and the Queensland Social Service League which provided relief work, principally sewing, for women for 7 shillings 6 pence a day. As families were evicted from their homes, unemployed camps were established in parks and showgrounds in towns and cities. 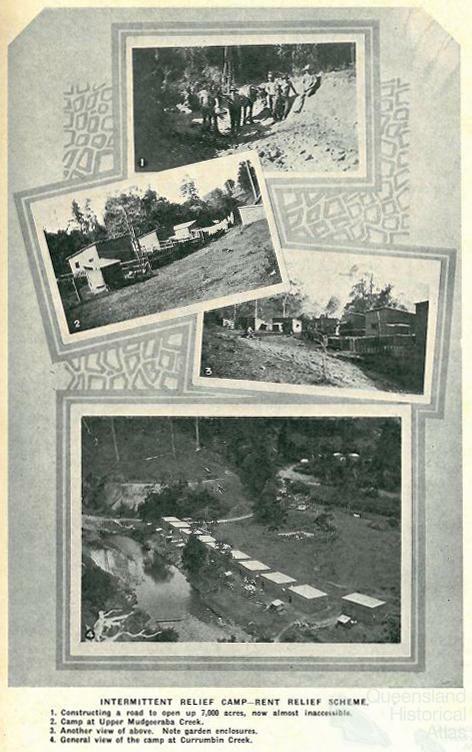 Evictees also sheltered with relatives, particularly in rural areas where properties were more self-sufficient. Queensland’s landscape supported many families, made life difficult for ‘travellers’ but was inarguably altered by the Depression. 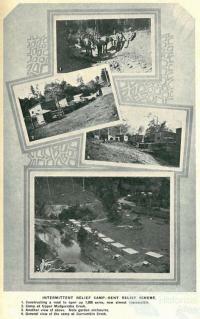 City of the Damned: how the media embraced the Brisbane floodsDid Clem Jones save Brisbane from flood?